Granite countertops in Chattanooga, Tennessee will bring decades of unrivaled performance and stunning beauty to any space in your home. Granite makes it easier than ever to turn your dull and drab space into a true one-of-a-kind masterpiece. With a wide-ranging palette of colors and patterns, you are sure to find the perfect stone to complement your design, style, and decor. 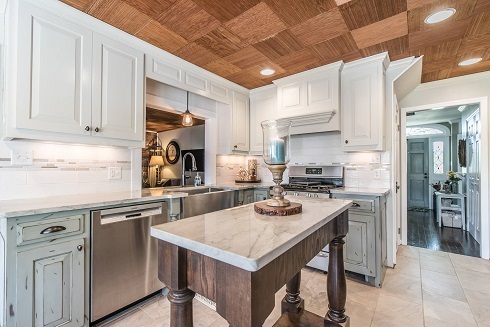 Adding granite countertops to your Chattanooga home offers a bevy of benefits. 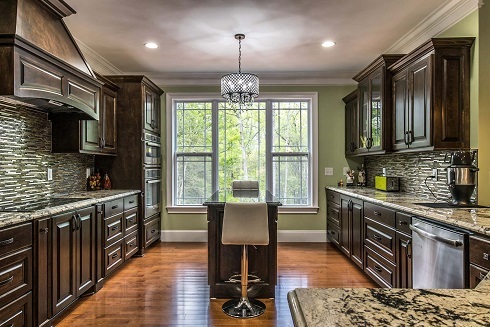 From impressive performance and durability to the added value this natural stone brings to your home, you simply can't go wrong with granite countertops in Chattanooga, Tennessee. Marble countertops in Chattanooga are the ideal choice for kitchens, bathrooms, and even outdoor spaces. These natural stone countertops will add a timeless elegance and luxurious look and feel to any space in your home. Marble features impressive performance and can add an elevated touch of sophistication to any design and decor. This natural stone features a wide array of stunning colors and veining patterns that can seamlessly integrate with any style - from contemporary to modern and everything in between. 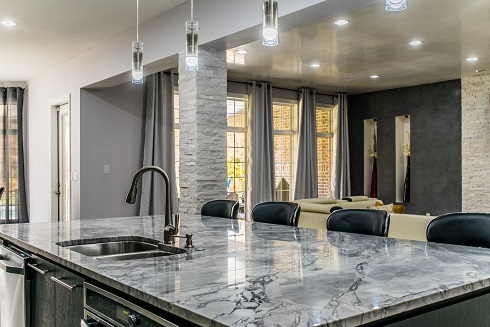 Creating your dream space has never been easier with marble countertops in Chattanooga. Quartz countertops in Chattanooga are a great choice for those who absolutely love the look and feel of natural stone but hate the idea of maintenance and upkeep. This engineered stone features remarkable durability and unrivaled performance—making quartz countertops well-suited for busy kitchens and high-traffic areas. Quartz countertops are incredibly hypoallergenic and will never need to be sealed, saving you time and money for the lifetime of the stone. With nearly endless customization options, you can turn the vision of your dream space into a reality with ease. Quartz countertops in Chattanooga will bring a luxurious, awe-inspiring look and feel to any space while offering unparalleled performance and durability that will stand the test of time. "Shadow Storm is my favorite and Granite Empire offers a 5-7 day Installation time. YOU CAN'T BEAT THAT!"